Tires are one of the most important pieces of a bike’s anatomy. Tires are what keep you gripped to the pavement when going Tires are one of the most important pieces of a bike’s anatomy. Tires are what keep you gripped to the pavement when going around corners, climbing hills and stopping at intersections. The type of tire you have on your bike will greatly determine the performance of your riding. Some are designed for speed, some are designed for grip, and some are designed to rip up the trail. When we’re talking about the best road bike tires, you want to be looking out for what’s going to accomplish your specific goal. What may be good for one rider may not be the best for another. Here we discuss the 5 best road bike tires in 2019 and some of the factors that make up a worthy rubber ring. This road bike tire is designed to go the distance and live t tell the tale. It is a wire bead road tire that boasts puncture resistance to keep you rolling and off the sidelines. Duraskin polyamide fabric offers reliable sidewall protection and keeps the ride smooth and consistent. With the grip on the corners, you can take your hairpin turns with some juice and straighten out with ease as the middle is smooth and ready to rock. 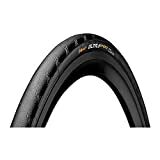 This is a great tire for commuters, touring bikers and riders who are training hard put together. Why we like it – This road bike tire gives you the smooth distance ride you want. Fewer punctures and quicker rides are really convenient as you don’t want to show up late to work because of a flat tire. 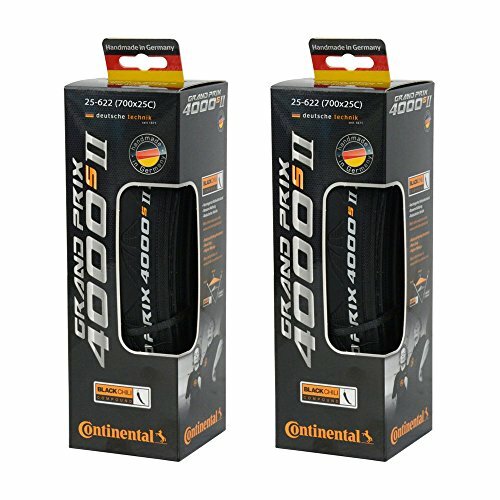 These 700/25c tires will offer you a very smooth ride which will allow you to reach the speeds you’re looking for. they are designed for really well-paved roads but do not stand up super well to rocky or rough terrain. Carbon nano-particles 26% lower rolling resistance. more grip, and longer mileage during your ride. The tires are designed to be resistant to water, punctures, and cuts, in an effort to keep you on the road longer. In order to add just a little more strength 3-ply casing and 330 TPI have been added. Why we like them – you get a really smooth ride with these tires and you can really feel the lack of resistance they offer. You’ll be going faster for longer with these road bike tires. Make sure you have the right road bike pedals to ensure maximum speed! The Gatorskin design has one priority. That priority is puncture protection. This tire is meant to take you as far as you want to go without needing to throw in a new tube. Duraskin anti-cut fabric and PolyX breaker are what make this tire such a strong companion to the road. They have little resistance when riding and offer a really smooth road riding experience. They also boast sidewall protection to keep the tires from blowing out on longer or more curvaceous lines. This tire is meant to bring you a smooth ride, for a long time, without letting you down. It is equipped with a Vectran breaker belt under the tread and a chili rubber compound to add to its strength. They have a tremendous grip to keep you hugging tightly to the corners. With the reflex tires, they contain a reflective strip to warn other roadsters of your awareness for when the lights go down. With the superior sidewall protection, you will be able to go over potholes and they will stand up to the task. Why we like it – This is a really reliable tire that will last through the tough days. It rides so smoothly and efficiently it’s a real pleasure to ride on them. Designed for the perfect relationship between rolling resistance, durability, and comfort, this tire will give you everything you need and more. The black chili compound reduces rolling resistance by up to 30% while riding. That’ll give you more roll and less drag. The puncture resistance comes from lightweight Vectran protection. Fewer punctures mean more seamless rides. 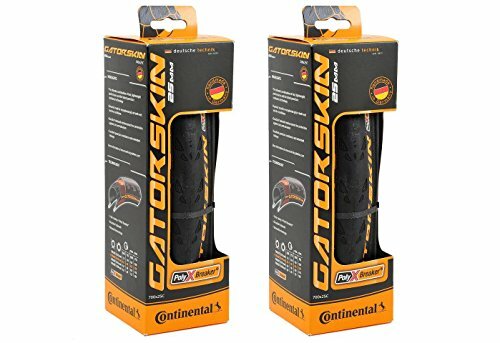 This is a tire that is handmade in Germany and will offer you more miles for your ride. Why we like it – Being able to go the distance is really important in a tire. That’s what these road bike tires do and they are reliable enough that you do not expect them to blow out after 100 miles on the road. When you’re riding, you want to have the best in all areas. You want a tire that can log miles, pass your riding partners, and keep itself together in every situation. Sometimes, we are forced to make a compromise and sacrifice perfection for adequacy in one area in order to get the most out of the others. Tires that are designed with amazing puncture protection often will not be the fastest or lightest. Tires that give you the speed and finesse are often open to vulnerabilities. Here is a short guide of what to look for in road bike tires. There are three different types of tires to choose from. The tubeless, clincher, and tubular. While all of them will get your bike rolling, there are some distinct differences. Tubeless tires do not use an inner tube, unlike their competitors. This means that the tire itself forms an airtight seal and clings to the rim without the use of an inner tube. Tubeless tires require a little bit more tinkering in order to get the right fit. They require that you have the right style of rims, specific rim tape, and liquid sealant. This decreases the likelihood of a flat, and, allows you to keep riding as the sealant can cover up any holes without requiring an extensive tire change. They also tend to be bulkier and take a bit more working to get the seal just right. 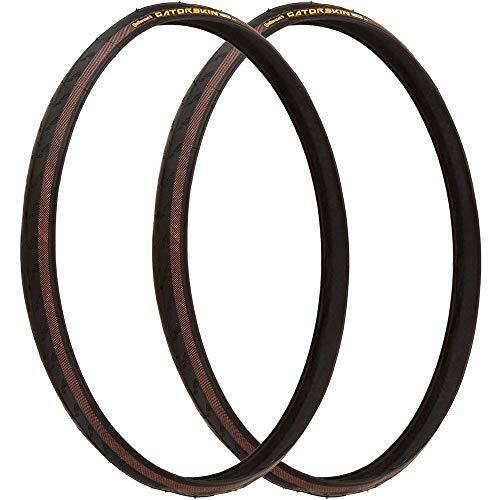 Tubular tires also need specific rims to fit on, but the tire wraps totally around an inner tube and is glued to the rim instead of using air pressure to keep it in place. Tubular tires tend to feel a little more solid and are ridden by most pro riders today. The distinct advantage of tubular road tires is that they can still be ridden after a puncture until you get a chance to change the tire. The biggest issue with tubulars is that they are not simple to replace. You need to take off the whole tire and replace it with a new one once it has been fully flattened. This is why amateur riders use them less often than pros who have teams to help them out. Clincher tires are the most commonly used type among the masses. They rely on an inner tube to maintain air pressure and clinch to the inside of the rim using beads to keep them in place. The two types of clinchers are folding and non-folding. Folding clincher tires are easier to store as they can fold up and take up less space, and are also usually lighter. Non-folding clinchers use beading on the outside of the tire and are unable to be folded. The main advantage of clinchers is how easy they are to change. You only need to take off one side of the tire in order to put a new inner tube in and pop the tire back on. These are best for riders who want easy and quick fixes. The width of a tire will only vary by a couple of millimeters. Tires generally come in 23-25 mm sizes and the differences are noticeable. Wide tires tend to be a little bit faster, as they do not bulge as much which causes more contact with the road. This causes the tire to be resisted a little bit more. Wider tires are able to run on slightly lower tire pressure and can be noticeably more comfortable to ride on. Tires with less width will also get the job done, but you may be losing that comfort and speed at the convenience of losing a little bit of unwanted weight. 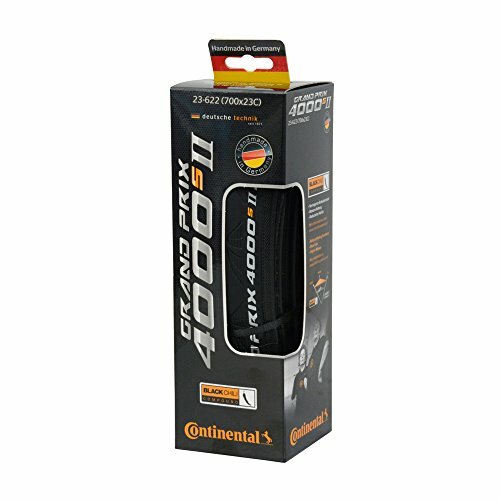 Generally, on a road bike tire, you are looking for distance, comfort, and speed. What you are using your bike for will determine what type of tire you need. If you are mostly riding on really nice and smooth roads, you can look at tires that are a little less resistant to punctures. If you are going to be hitting some trails with a little more varied terrain, you may need to sacrifice that speed and agility for a little more durability. You should be able to find the right tire for you with our list of the top 5 road bike tires in 2019. In most cases, all you want to do is feel the air whiz past your ears as you effortlessly glide through your favorite riding scenery. Now with this information, you will be able to make the decision that will keep your tires on the road.